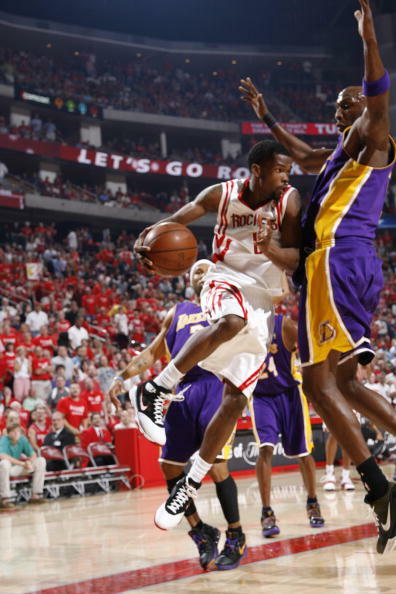 Actually, the one Rockets I like best in this game is Chuck Hayes. His defense just shut down the Twin Towers of the Lakers. 1/2 FG% for 2 points.....but 9 rebounds/2 assists/4 steals/1 block. I had to work so I couldn't watch the game, log onto my computer to check the score, long and behold the Rockets WON!! Yes, Yes, Yes.... and F...the Lakers, especially Jordan wannabe kobe. The Rocket shouldn't look beyond the game in front of them. They need to take one game at a time. The last thing they need is getting ahead of themselves. The pressure is clearly on the Lakers, even more so now. As long as the Rockets give it all on the floor in each game, I can live with the result regardless if it's a win or a loss. 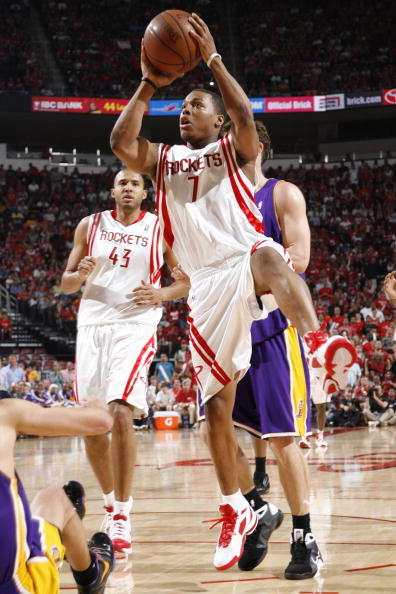 Man these rockets are so gritty, you've gotta love their efforts. 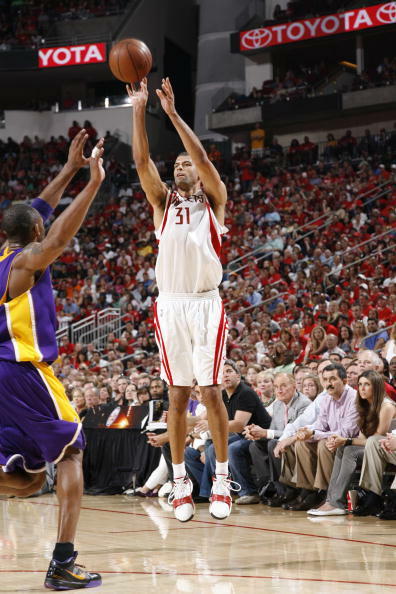 The Rockets always needed more production from Battier to push the Lakers and they got it in this game. LOL, Phil Jackson said it best..
Reporter: Are you embarrassed by this lost? Phili Jackson? Embarrassed? No. 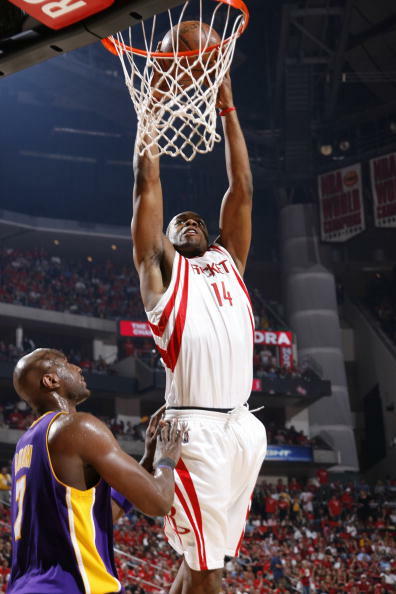 Can you give the Rockets some ****** credit? They beat us. They played well today. No I'm not embarrassed. 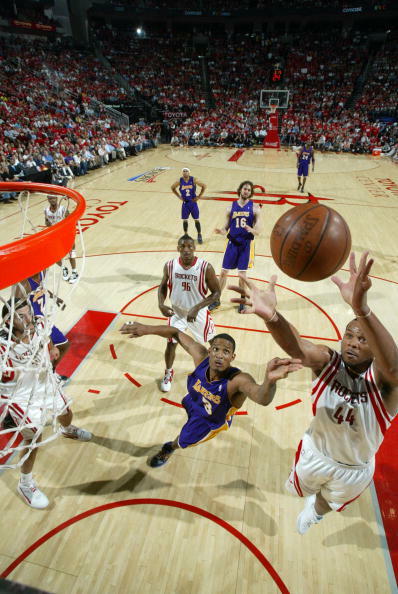 The gallant Rockets achieved an epic win over the Lakers to tie the playoff series 2 ~ 2 with the chips down. 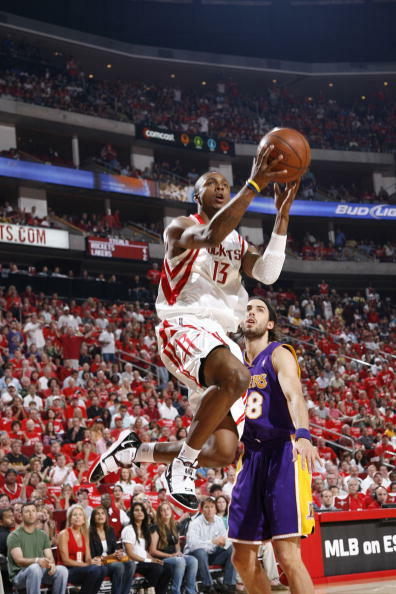 Artest must shoot better. I am just amazed how badly he shoots. Absolutely ridiculous. 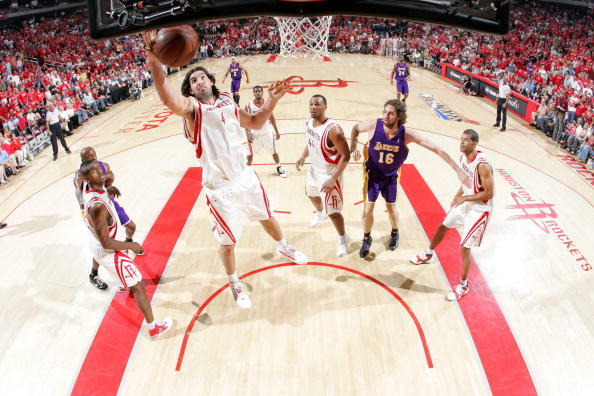 Shane and Scola are solid players and very consistant. You know what they are going to give you every game. 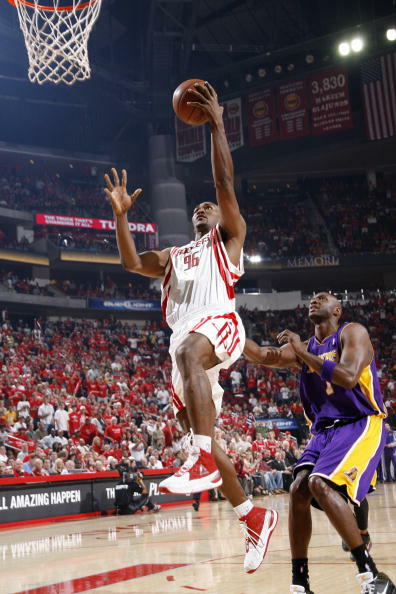 Yao, Brooks and Artest are kinda out there. he shot well in 1st two games. i think the ejections took him out of rhythm. 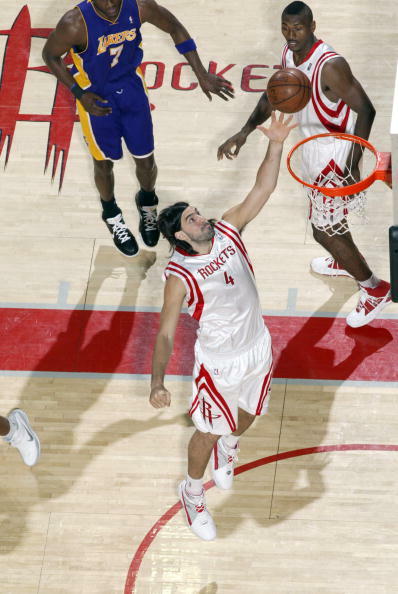 plus he gets flustered by kobe trash talk which he loses his cool and decides to take kobe 1 on 1 = turnover or bricks.